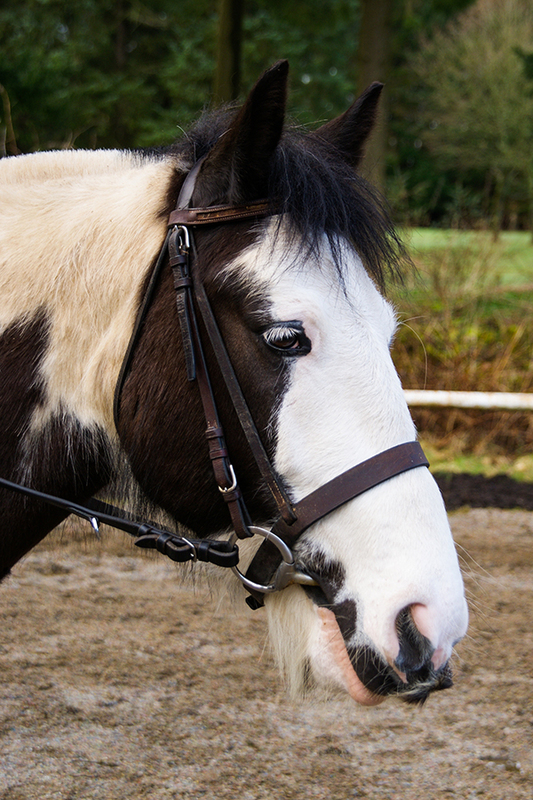 Panda is a 15hh Piebald Irish Cob gelding who was born in 2008 and arrived at Hayfield in 2013. Panda had done little in the school when he first came as he mainly hacked out in his previous home. He has learnt very quickly and is now a valuable member of our riding school. Panda enjoys all our activities including dressage, show jumping and hacking and also a good gallop along the beach!